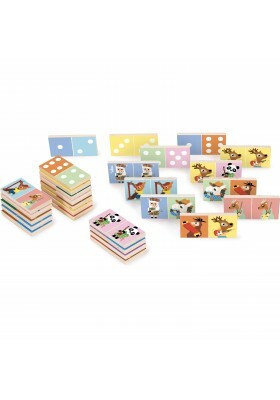 Twenty-eight reversible wooden dominoes, classic dominoes on one side and pictures of pretty animals playing music on the other. 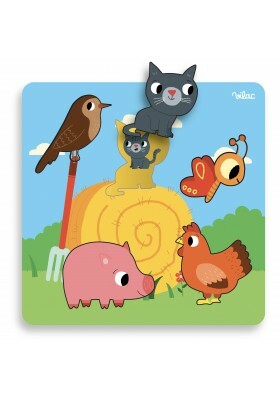 Wooden puzzle on a farm theme with five pieces to insert: cat, bird, hen, pig, butterfly and their babies. 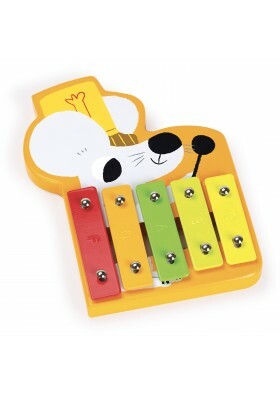 This small mouse-shaped xylophone with five metal bars and a wooden hammer is ideal to help toddlers discover music.